Should you install the 9anime Kodi addon? Is 9anime working, safe, and legal to use? If you’ve been looking for a way to watch free anime, you’ve probably heard of the 9Anime Kodi addon. But is 9Anime still working? And is it safe and legal to use? As of May 2018, we’ve found that there are several issues with the 9Anime Kodi addon. First, the addon no longer works. Users have reported that 9Anime no longer pulls streams properly. Outside of this, however, 9Anime does not access content legally, making it a risk and problem to use. This article will explain what the 9Anime Kodi addon is, what risks you may be taking by installing it, and some options available if you don’t want to take these risks. Kodi is free, open-source media player software. It allows users to play videos stored on a device or streamed from the Internet. It can be installed on an Amazon Fire Stick, Nvidia Shield, Android or iOS phone, PC, or Mac. Kodi has gotten a bad rap in the media for allegedly being used in piracy, but there are many Kodi addons that stream from official sources, including all of the ones recommended in this article. People who stream unlicensed content often use virtual private networks (VPNs) to hide their activity from their Internet service providers. However, any person who streams video can benefit from a VPN. VPNs help to protect streaming video users from buffering caused by ISP speed throttling and man-in-the-middle attacks by hackers. They also help to get around geographic content blocks imposed by streaming sites. Not all VPNs are ideal for video streaming though. Most don’t have apps for popular TV devices like the Amazon Fire Stick. While all VPNs will slow connection speeds somewhat, many are so slow that they constantly buffer when playing high-resolution video. Some VPNs don’t have servers in more than a few countries, limiting users options for getting around geoblocks. Some also keep logs of users’ activities, creating a privacy risk. For these reasons, we recommend Kodi users rely on IPVanish to protect their privacy and security. IPVanish keeps no logs, has servers in over 60 countries, and has an app for Amazon Fire Stick and Nvidia Shield. In our testing, we found that IPVanish was fast enough to stream high-definition video without buffering. What is 9Anime Kodi addon? 9Anime is a popular website that provides mostly unofficial, pirated streams of anime. However, the 9Anime Kodi addon has nothing to do with this site other than sharing its name and being a means of watching anime. Instead of streaming content from the 9Anime site, 9Anime Kodi addon links to content from several different free storage and sharing platforms, including G4, RapidVideo, MyCloud, and OpenLoad. These platforms allow any user to post videos to them. The videos can then be streamed by anyone in the world. Some of the videos available through the 9Anime Kodi addon may have originally been posted to the 9Anime website. Others may be from completely different sites or have even been created by users of RapidVideo, MyCloud, etc. The 9Anime Kodi addon simply allows users to search these file-sharing sites for anime titles. Despite its misleading name, the 9Anime Kodi addon has become very popular with anime fans because of the large catalog it gives users access to. Although the 9Anime addon does provide access to a lot of anime titles, there are also a lot of security and privacy risks to installing it. This addon is created by a developer who goes by the name “DxCx.” DxCx has no social media presence and no one knows who he or she really is. While there are no reports of malware or security issues with the 9Anime addon right now, the addon could be updated in the future to contain malicious code. This would especially be a risk for a user that has “automatic updates” enabled from within Kodi. But this could happen to a user who manually updates addons as well. The 9Anime addon is also stored on a Github page, and there has been at least one instance in the past when a Kodi developer’s Github page has been taken over by an imposter. This problem arises because new Github users can create accounts using names of old users whose accounts have been deleted. As a result, even if DxCx would never insert malicious code into this addon, he or she could delete the account and it could be recreated by someone who would do so. To summarize, DxCx is a relatively unknown, anonymous developer with no social media presence. This makes installing the 9Anime addon risky. In addition to this security and privacy risk, there are also legal and ethical issues that may make some users uncomfortable with installing the 9Anime Kodi addon. While there may be links to some public domain anime on this addon, most of the content is unauthorized streams of copyrighted work. So if you’re looking for official, legal content, 9Anime is not the place to find it. For these reasons, we at Comparitech do not recommend installing 9Anime Kodi addon. Instead, we recommend the legal and comparatively safe alternatives listed below. If you’re looking for free anime streams, the best alternative to the 9Anime Kodi addon is the Tubi TV Kodi addon. This addon streams from Tubitv.com, a free video streaming site that has a huge collection of TV shows, movies, and many other types of content, including anime. Tubi TV has over 150 anime titles, including popular series like Attack on Titan (first season only), Full Metal Panic, Fairy Tail, and Death Note. Although users can register with the site to get some extra perks, no registration is required to watch any of Tubi TV’s videos. Although Tubi TV is ad-supported, streaming Kodi blocks video ads. This makes streaming Tubi TV through Kodi an optimal solution. The Tubi TV Kodi addon is in the official repository. 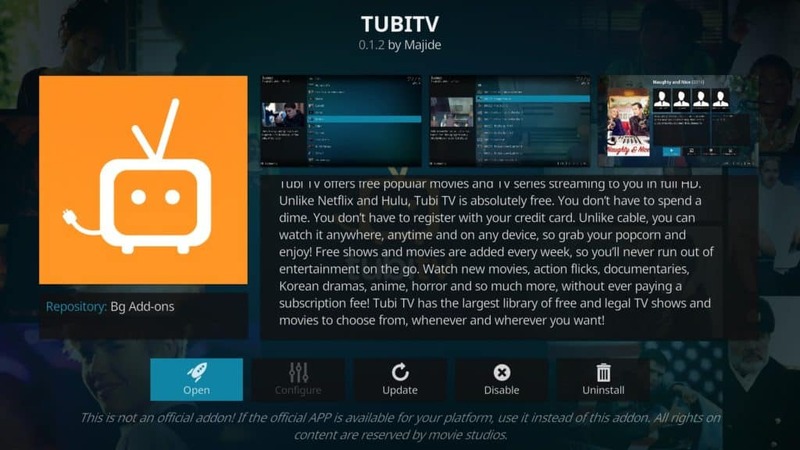 Here’s how to install and use Tubi TV for Kodi. Like Tubi TV, Viewster is also a free movie and TV site. It carries over 30 anime titles, including Fist of The Northstar, Galaxy Express 999, and Key: The Metal Idol. No registration is required to watch any of Viewster’s content. 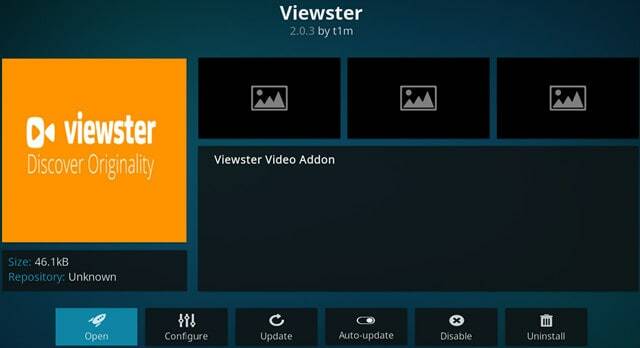 The Viewster Kodi addon is in the official Kodi repository. Here is how to install and use Viewster for Kodi. Crackle is another free video streaming site that carries a handful of anime titles in addition to other content. It carries 9 anime TV series and 8 anime movies, including popular titles like Cromartie High School, Sword Art Online, and Street Fighter II: The Animated Movie. No registration is required to watch Crackle’s videos. The Crackle Kodi addon is part of eracknaphobia’s repo. 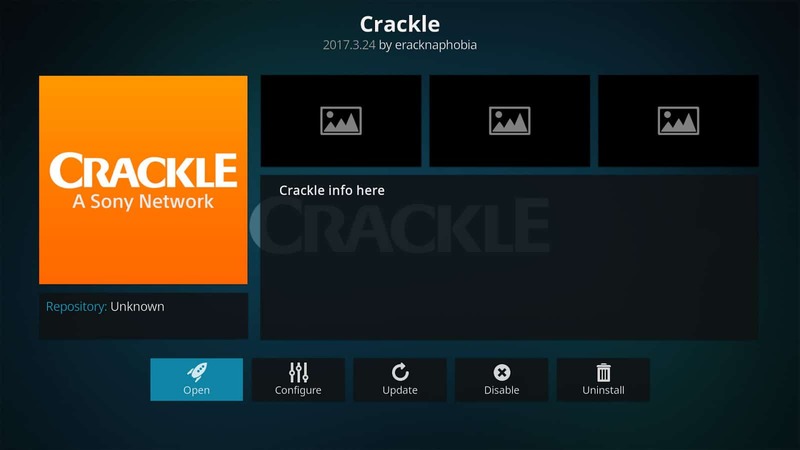 Read how to install and use Crackle for Kodi. 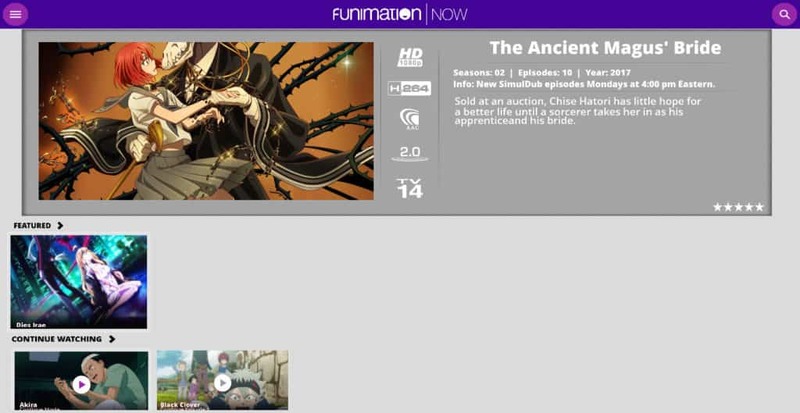 Funimation is one of the largest producers of English-dubbed anime in North America. Funimation Now is the name of their video-streaming service. A subscription costs $5.99/month and gives you access to over 450 titles, including Dragon Ball Z, Attack on Titan (complete series), One Piece, Cowboy Bebop, and many others. All shows and movies are in high-definition. New episodes of series currently airing in Japan are released each week. If you’re not sure whether you want to pay for a subscription, you can sign up for a free trial for 14 days. If you cancel before the 14 days are over, you will be switched to a free account that provides a more limited selection of anime. The Kodi addon works with both the premium and free versions of Funimation Now. Unlike Crunchyroll (mentioned below), Funimation Now focuses on English-dubbed anime with high-quality voice-acting and direction. If you prefer to watch anime in the original Japanese with English subtitles instead, this Kodi addon might not be very useful to you. The FunimationNow Kodi addon is in the official Kodi addon repository. To install, load Kodi and then click addons → download → video addons → FunimationNow → install. Crunchyroll is a video streaming service focused on anime and East Asian drama. It carries the largest catalog of any legal anime site, with over 900 titles to choose from, all in high-definition. The service costs $6.95/month and offers a free trial for 14 days. If you cancel before the 14 days have expired, you are switched to a free version that plays only in standard definition and shows advertisements if viewed using a web-browser. The Crunchyroll Kodi addon only works with the paid version of the service, so there is no known way to block the advertisements on the free version of Crunchyroll. 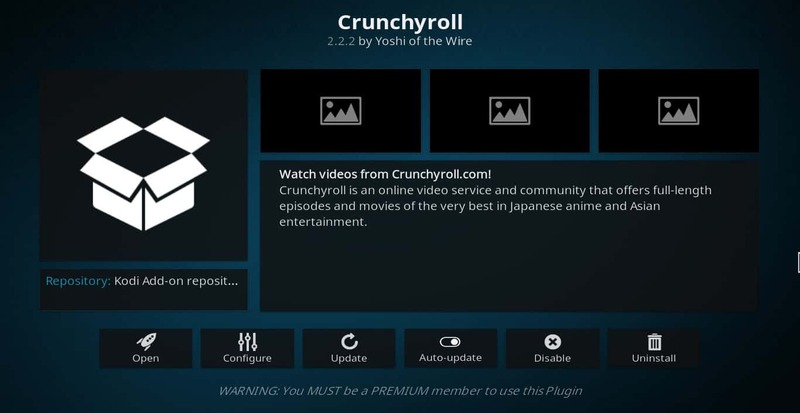 The Crunchyroll Kodi addon is part of the official Kodi repository. Here is how to install and use it. 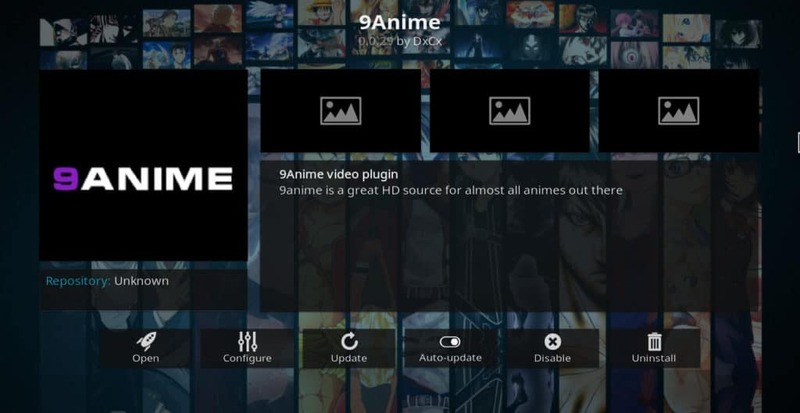 The 9Anime Kodi addon is a popular way for Kodi users to get access to free anime titles. However, there are a lot of security and privacy risks to installing it, and there are ethical and legal issues with it that may cause some users concern. However, there are also many safe and legal alternatives that still allow Kodi users to watch anime for free or for a relatively small fee. These include Tubi TV, Viewster, Crackle, FunimationNow, and Crunchyroll. We hope you’ve found this guide to 9Anime Kodi addon to be useful. If you’d like to read more about how to watch TV and movies through Kodi, you may want to read some our other Kodi-related articles, including how to watch Bollywood movies on Kodi, Using Play to Kodi for Kodi Anime lab and others, and 14 great Kodi movie and TV addons.